Anti aging beauty tips and secrets from many different cultures around the world can be passed on to men and women everywhere to help age gracefully. Learn priceless, “generations old” skin care secrets. Wouldn’t we all “die for” a toned, polished, porcelain-like complexion? 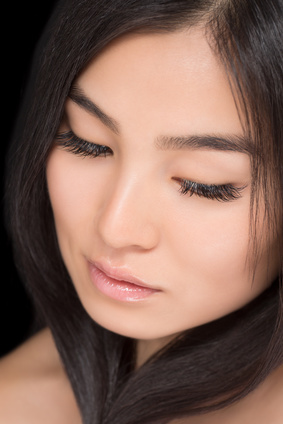 It comes to no surprise that American women have been in search of some of the best Asian beauty secrets to incorporate them into our beauty routines. One important priority to Asian women is sun protection. No matter what kind of weather, protecting your skin from the sun’ rays with a broad-spectrum SPF sunscreen is a Must! We all have seen the numerous pictures of Asian lady’s carrying an umbrella to shield her from the damaging rays of the sun. The majority of skin problems and premature ageing of the face is the result from exposure to sunlight. Daily skincare routines include keeping skin cleansed and polished. Popular in many areas of Asia, women choose cleansing oils that don’t strip the skin yet dissolves away dirt, impurities, and makeup easily. Polishing or dissolving and removing away dead cells from the surface of the skin will encourage cellular turnover to keep your complexion smooth and glowing. This can be achieved by using an exfoliant. Exfoliation also helps any additional rejuvenation treatments to penetrate easier into the skin. BRIGHTEN, MOISTURIZE and NOURISH-Asians are well known for boosting radiance and addressing age spots and hyperpigmentation. Many treatments for preventing/and or ridding dark spots and sun damage are available. Moisturize your skin as often as needed to keep it well hydrated and nourish with rejuvenation products that are nutrient-rich. Look for ingredients such as seaweed extracts, green tea, ginseng, and fermented botanicals and grains that are often infused in anti aging products. We can all be inspired to the geisha’ guide to beauty! What’s the secret the polynesian women have for their satin, smooth skin and “drop dead” luscious hair? Polynesian Anti aging beauty Secrets RAVISHING! Polynesian women have a treasure of secrets for natural beauty. Many old age cultural practices also combine well with anti aging methods to help promote total well-being. A long standing popular tradition is the body massage using techniques such as Lomilomi, and Kahuna. The therapeutic effect on the body is beneficial for your outer beauty as well as keeping stress levels down and help balance one’ emotional and mental health. Massaging the skin will also increase circulation which will bring a healthier, rosy, radiant look. The glowing skin is attributed to the use of the natural oils such as Coconut, Macademia nut, Jojoba, and Kukui nut. COCONUT OIL- This is one of the best natural moisturizers with many anti aging boosting properties you can use on your face to smooth away dryness, plump, eliminate dead skin cells, and fight against free radicals. The small molecular structure allows the oil to be easily absorbed. Silky HAIR- Used as a hair treatment it will help deep condition, detangle, tame frizz, add shine and stimulate hair growth. MONOI- Polynesia’ coconut oil at its finest. The refined oil is a century old strict process/formula that is cultivated by steeping Tiare Tahiti blossoms(gardenia variety only indigenous to French Polynesia) to produce this very fragrant, wonder oil. Authentic Monoi Oil selections include a Tiare flower in every bottle. TAHITIAN NONI JUICE- We all know the benefits of drinking the fruit juice of the fruit from the Noni tree for health but it can also be applied to the skin to help reduce signs of ageing because of the abundant source of antioxidant properties. Algae, seaweed, and kelp- The mineral and antioxidant-rich ingredients found in marine plants have many beauty benefits such as super hydration, firming, strengthening, and they have the ability to draw toxins from the skin. What is it about everything Italian - Wonderful and Gorgeous! Think, Italian foods, Monica Bellucci or Sophia Loren! Make a toast to Italys Seductive BEAUTYS! Americans can learn a lot about European knowledge on skin care. VIRGIN OLIVE OIL - Using olive oil for the numerous health benefits has been around for ages. It doesn’t stop at the popularity of using it for cooking and including it in all sorts of recipes. Antioxidant-rich olive oil is extremely important in our anti aging skin care regimens. Strong antioxidants such as Vitamins A and E have the natural ability to stimulate cells and help repair and renew skin. Virgin olive oil is a fantastic moisturizer for your face, hands and body. Ask any Italian what will hydrate, smooth and soften skin? Greek and Mediterranean cultures have been using it for everything from cleansing & removing makeup, moisturizing, in the bath, and as a base for many spa treatments. It’s also an ideal product for your hair to tame frizzy hair and smooth curls. There are numerous varieties of skin care products you can find that contain olive oil. WINE-Various ingredients in red wines offer many rich properties that were used for health purposes since ancient times. It has also been discovered red wine benefits skin with its abundant amount of anti aging nutrients, polyphenols, flavonoids, resveratrol, and tannins it contains. Resveratrol has the ability to protect cells from damage by neutralizing free radicals and boosting the immune system. Red wines also contain anti-inflammatory and antiseptic properties that help fight acne prone skin. Make a toast to beautify skin! MASKS AND BODY TREATMENTS- Mud from the Dead Sea contained elements that had many benefits for enhancing beauty and health. Today there are many facial and body treatments that cleanse, rejuvenate, detox, and provide many anti aging effects. Shared Anti aging Beauty Tips From All The Beautiful People Worldwide!